So thanks to technology, you are able to see what our radio show Family Funtime With Aunty Bimbo is really about via this video. Two weeks ago, the 18th of March 2017 precisely, I decided to do a Facebook Livestream of the show and it was really exhilarating to have people watch us from all over both within and outside Lagos and Nigeria! We had some people tune in from Port-Harcourt, Ibadan and Benin while some people joined us from Australia and the U.S! How did I know this? Because they mentioned it in their various comments on the live stream. Technology is really evolving on all levels and its very important we take advantage of its positive side. 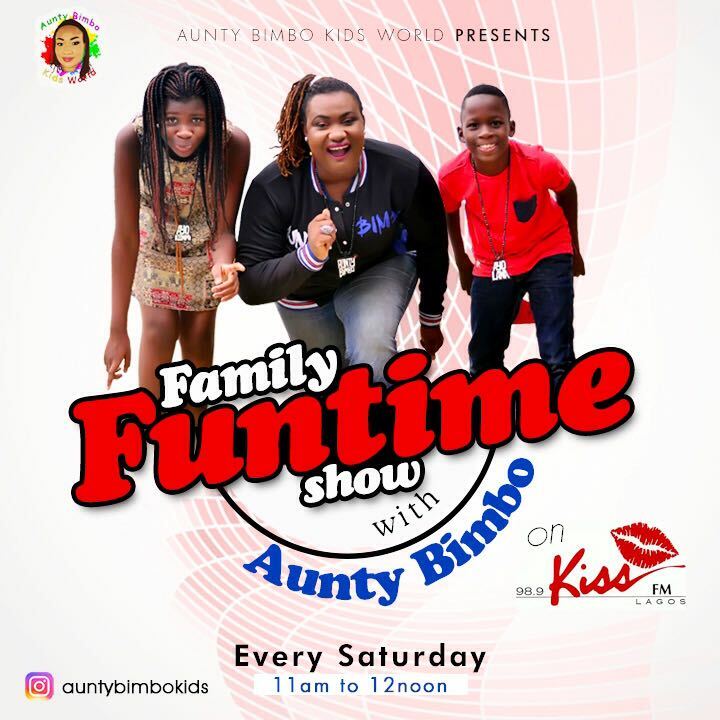 For those that don't know, the show Family Funtime With Aunty Bimbo is a syndicated show currently running on KissFm Lagos 98.9 every Saturday from 11am to 12 noon. It is a show to empower families through fun and learning and if you watch the video you will see that we do this via our interactive segments which is co-hosted with my 2 kids to encourage other children to realise that age is not a barrier in communicating intelligently. We continue to seek sponsors that will help us push the show farther on more radio stations so that more families will have a chance to interact and bond more through this platform.